Have you ever watched a medical drama on TV? Or had surgery at the hospital or out-patient clinic? -Hospital operating rooms are filled with nonwovens and you’ve either seen them on TV or up close in person. Nonwovens offer many advantages in the medical/healthcare market. Here are a couple of examples . . .
Operating room personnel wear single-use nonwoven surgical gowns when they are in the operating room. Nonwovens are also used to make surgical drapes. 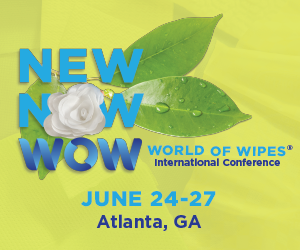 The advantage for using nonwovens is protection from the patient’s blood, bodily fluids, and they are sterile. Millions of people all over the world acquire HAI (Hospital Acquired Infection) resulting in tens of thousands of fatalities every year. There are many causes for acquiring infections in the hospitals, one of them being during surgery (commonly referred to as SSI – Surgical Site Infection). Nonwoven medical drapes and gowns can help prevent the spread of bacteria and microbes during surgery, thereby reducing the risk of SSIs/HAIs. Band-aids are something most everyone has used at one time in their lives. You get a cut and put on the band-aid. That little nonwoven fabric in the middle protects the wound and speeds healing by keeping the area moist and free from infection.